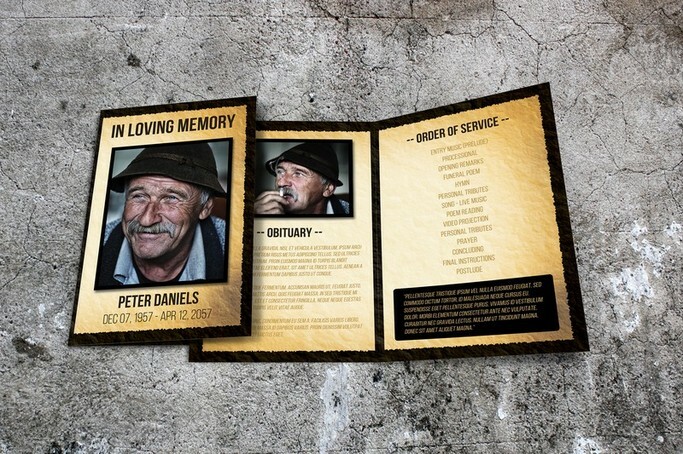 Coping with the loss of a close friend or family member can be a very traumatic time but this is also the time to celebrate their loving memory. 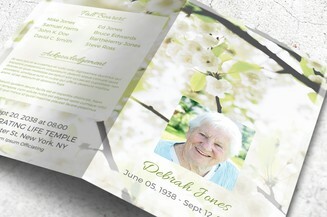 Let us help you capture the beautiful life of your loved one as you honor and cherish their life’s story. 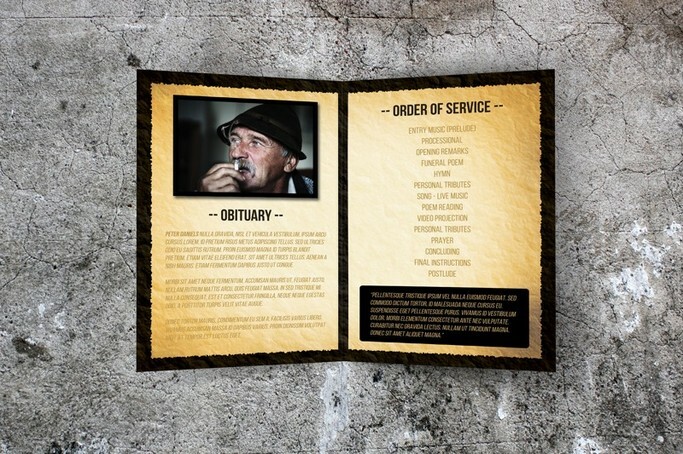 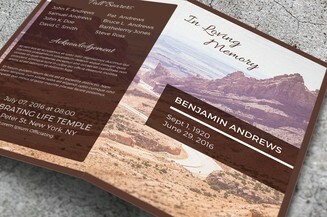 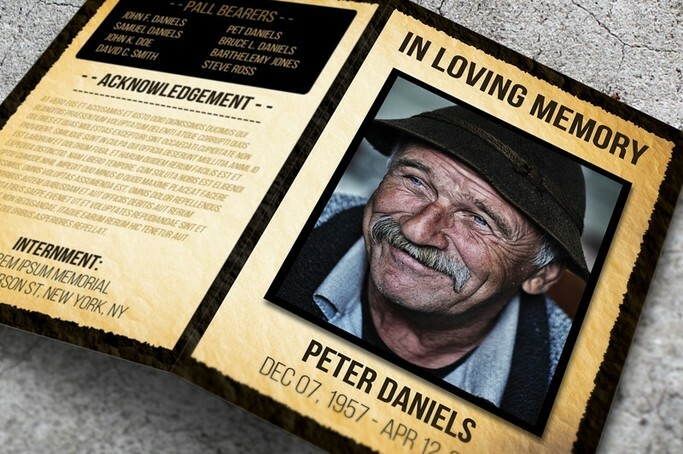 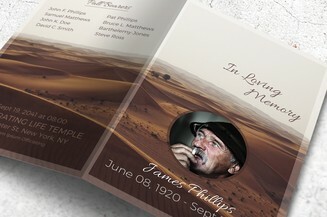 This print-ready memorial program has an unconventional “wanted” theme with a dark border that you can hand out to the memorial service attendees.